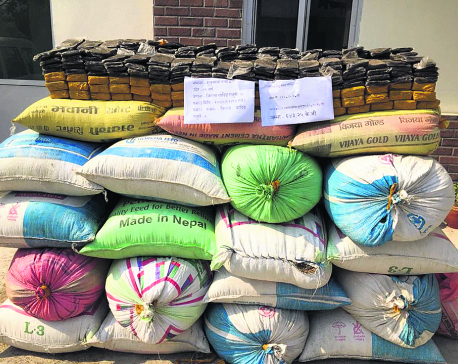 KATHMANDU, March 23: Police, on Friday morning, arrested one Indian national from Dhading on the charge of smuggling 164 kilograms of hashish from Kathmandu to India using a truck with Indian number plate. Acting on a special tip-off, joint force of police officials from the District Police Office (DPO), Dhading, and Area Police Office (APO), Gajuri, intercepted the truck (UP-19T 5171) at about 4 am from Gajuri Rural Municipality-1, Gajuri bazaar while it was plying the Prithvi Highway en route to Uttar Pradesh of India from Kathmandu. Upon inspection of the vehicle, the police team led by inspector Bhola Man Singh and inspector Navraj Dhungel found eight polythene sacks full of hashish hidden in a secretly built false ceiling in the cabin of the truck. The police team has arrested the driver Mau Mahatab, 23, of Mareth district, Uttar Pradesh of India on the charge of smuggling the narcotic. 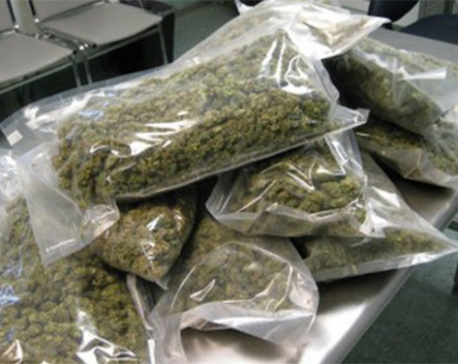 The arrest came as the third huge drug bust by the DPO, Dhading in 40 days. Previously, police officials from the DPO had arrested three Indian nationals with 360 kilograms of hashish on February 10 and three Nepali nationals with 105 kilograms on March 9. 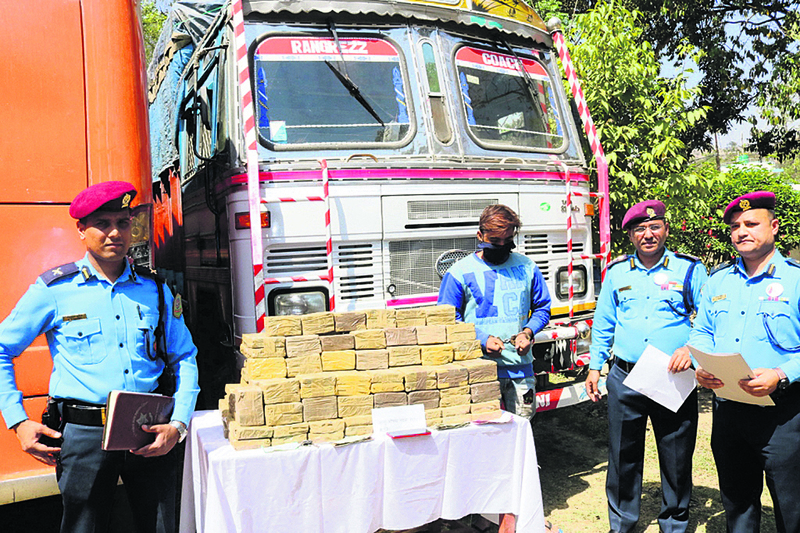 The smugglers would previously use the Birgunj border crossing to sneak the narcotic to India. He added that the police have also found that the drug smuggling racket does not have any middlemen. “The call history on the phones of the arrested shows that direct contacts have been made to the kingpins of this smuggling racket,” SP Baidawar said, “We are currently trying to track down these criminals through their cell phones.” He added that they are investigating whether the Friday’s seizure has any connection with the previous two seizures.